Each year HCPAC brings live theater to the community through a dynamic educational and ministry process. Click a link below to see details of our productions this season. Hamlet- June 28, 29 & 30, 2019: In the wake of his father’s abrupt death, Hamlet returns home from university to find his personal and political world changed as he never imagined it could—his mother remarried, his uncle on the throne and a world seemingly gone insane. When his father’s ghost appears and demands vengeance, the increasingly desperate Danish prince must decide: submit or resist. Accept or avenge. Live or die. 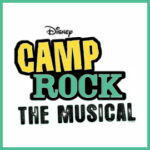 Camp Rock- July 19, 20 & 21, 2019: A classic story of rivalry and power, Disney's Camp Rock: The Musical opens with Mitchie and her friends arriving at Camp Rock, ready to spend another summer jamming out and having the time of their lives. But the new, flashy Camp Star across the lake now threatens Camp Rock's very existence. To keep the doors open, Mitchie steps up, rallies her fellow Camp Rockers and gets them into top shape for the ultimate showdown! Freaky Friday- August 9, 10 & 11, 2019: When an overworked mother and her teenage daughter magically swap bodies, they have just one day to put things right again. 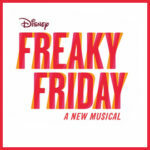 Freaky Friday, a new musical based on the celebrated novel by Mary Rodgers and the hit Disney films, is a heartfelt, comedic, and unexpectedly emotional update on an American classic. By spending a day in each other's shoes, Katherine and Ellie come to appreciate one another's struggles, learn self-acceptance, and realize the immeasurable love and mutual respect that bond a mother and daughter. 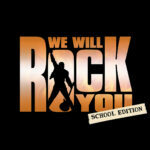 We Will Rock You- July 20-22, 2018: A musical based on the songs of British rock band Queen with a book by Ben Elton. The musical tells the story of a group of Bohemians who struggle to restore the free exchange of thought, fashion, and live music in a distant future where everyone dresses, thinks and acts the same. Tarzan: The Stage Musical (Based on the Disney Film)- September 14-16, 2018: Based on Disney's epic animated musical adventure and Edgar Rice Burrough's Tarzan of the Apes, Tarzan: The Stage Musical features heart-pumping music by rock legend, Phil Collins, and a book by Tony Award-winning playwright, David Henry Hwang. Jekyll & Hyde- October 19-21, 2018: The epic struggle between good and evil comes to life on stage in the musical phenomenon. Based on the classic story by Robert Louis Stevenson and featuring a thrilling score of pop rock hits from multi-Grammy- and Tony-nominated Frank Wildhorn and double-Oscar- and Grammy-winning Leslie Bricusse, Jekyll & Hyde has mesmerized audiences the world over. 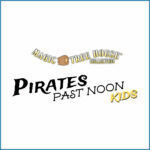 Magic Tree House: Pirates Past Noon Kids- November 17-18, 2018: An adaptation of the fourth of Mary Pope Osborne's award-winning fantasy adventure books from the Magic Tree House book series. This time around, Jack and Annie’s tree house takes them to an exotic island with pirates, where the two discover the power of friendship and the simple pleasures in everyday life. A Christmas Story:The Musical- December 14-16, 2018: Based on the holiday movie classic with music from Benj Pasek and Justin Paul, the award winning duo behind the Broadway hit Dear Evan Hansen, and movies La La Land and The Greatest Showman. 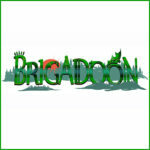 Lerner & Lowes: Brigadoon- January 18-20, 2019: The enchanting and beloved Broadway and West End musical that inspired the classic MGM film, and numerous productions all over the world. Featuring such standards as "Almost Like Being in Love," "Come to Me, Bend To Me," and "Heather on the Hill," Brigadoon is a timeless, romantic classic which vividly brings the mystery and magic of the Scottish highlands to life. 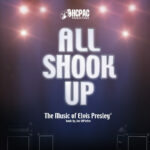 All Shook Up- February 15-17, 2019: Inspired by and featuring the songs of Elvis Presley. It’s 1955, and into a square little town in a square little state rides a guitar-playing young man who changes everything and everyone he meets in this hip-swiveling, lip-curling musical fantasy that’ll have you jumpin’ out of your blue suede shoes. 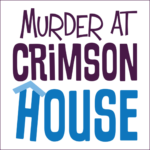 Murder at Crimson House- March 15-17, 2019: In this spoofy, musical murder whodunit, Hercules Porridge Jr., son of the famous Hoboken detective of the same name, just might solve the mystery. Or he might not. Full of eccentric characters and a rousing, haunting score, this campy private eye musical comedy is worth further investigation! Passion Play 2019- April 12-14, 2019: The passion and love of our Lord Jesus Christ, is brought to the HCPAC stage through this dramatic presentation, Reach. Xanadu Jr.- May 10-12, 2019: Inspired by the Tony Award-nominated Broadway musical and the Universal Pictures' cult classic movie that starred Olivia Newton-John and Gene Kelly, Xanadu JR. features the music of Jeff Lynne (Electric Light Orchestra) and John Farrar, is a moving, electrifying tale of endless fun that will keep audiences in stitches while the original, legendary chart-topping tunes lift them out of their seats. Sorry, no productions have been scheduled, yet. 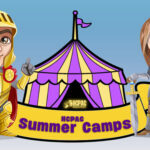 2019 Summer Camps- During each two-week camp, students will utilize critical thinking skills as they sample many parts of a theatrical production through games, crafts, songs and an introduction to theater basics. Each student will more fully develop key life skills such as oral communication, teamwork, commitment, self-discipline and healthy self-image as they work together with other students to produce an end-of-camp showcase.